The last thing hot new model Axelle expects to find at a photo shoot is a top stylist dead on set. 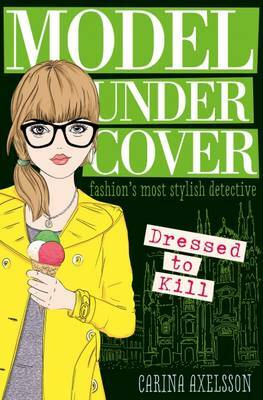 But as a high-heeled, runway-ready secret sleuth, she's just the girl to solve the mystery of who poisoned Elisabeta. With gorgeous Sebastian by her side, Axelle plunges into a world of dirty rumours, sparkling jewels and high-speed chases to track a ruthless killer. Could this be Axelle's most dangerous investigation yet? I thoroughly enjoyed this book and I am hoping there will be another.